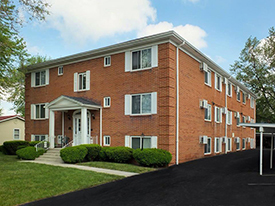 Vernon Heights offers beautifully refurbished one and two bedroom, one bath apartments. The owner pays water, sewer, and garbage. Kitchens have included appliances. Laundry facilities are on site. Apartments are all electric. The building is secure with covered parking. No pets allowed. 1 Bedroom - $475 per month. 2 Bedroom - $505 per month. One year lease. 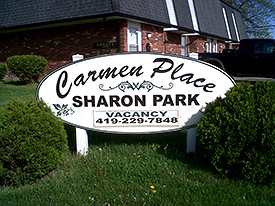 Sharon Park offers beautifully refurbished two bedroom, one and half bath town houses with private patios. The owner pays water, sewer, and garbage. Kitchens have all major appliances. Townhouses have full basements with washer and dryer hookups. Apartments are gas and electric. No pets allowed. $675 per month. One year lease. Call (419) 229-7848 or email card_one@prodigy.net for more information.